Meadowside Cottage is ideal for 2 families sharing as there are 4 bedrooms, three bathrooms and plenty of space. 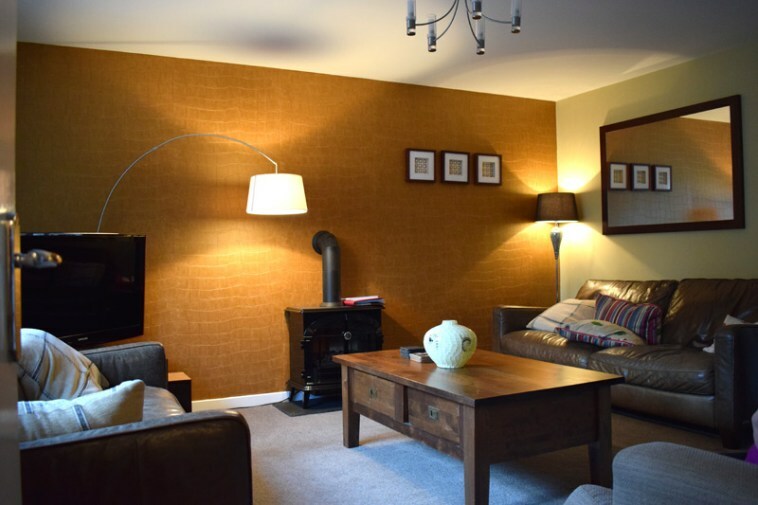 The cottage is tastefully decorated and comes with lots of homely touches. Dogs are welcome too and there's a double drive if you're bringing two cars. The location is spot on for a mini-break from the North East. It takes around 2.5 hours to drive there from Newcastle and is super easy to get to. We left slightly later this year due to Steve working late and an after-school club and arrived at around 8pm. Friday night was lovely and chilled with Steve making us all mojitos, us listening to Radio 6 through the TV and catching up and the kids playing scrabble in the kids' den. All very civilised! 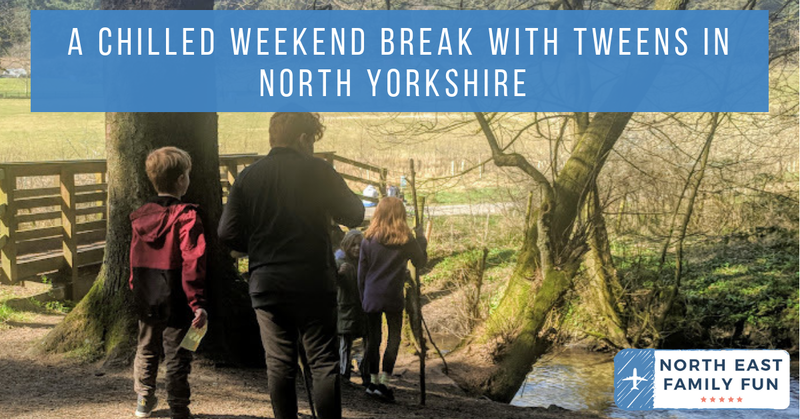 Meadowside is within easy walking distance of a couple of Yorkshire pubs, a play park for the kids and the beach if you walk a little further. There's a bus stop outside of the estate that links you directly to Scarborough if you wish to leave the car at home. Find out more about Meadowside Cottage and book online here. After humming and harring about the expensive £9 parking charge at Dalby Forest, we just decided to go with it and spend the day there. 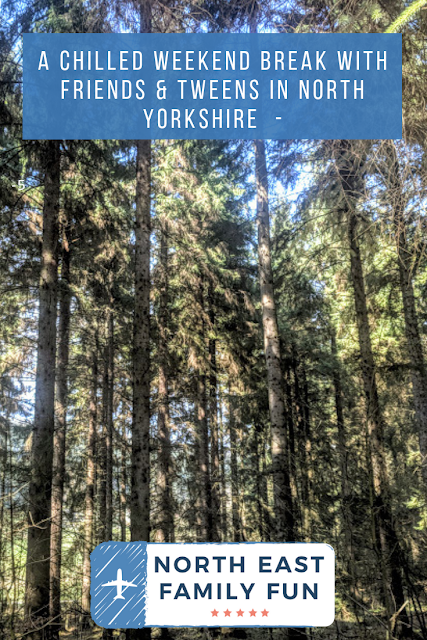 The weather was beautiful and sunny and the 40-minute drive from the cottage was very scenic - we passed through quaint little villages and Thornton-le-Dale is definitely one for the list. 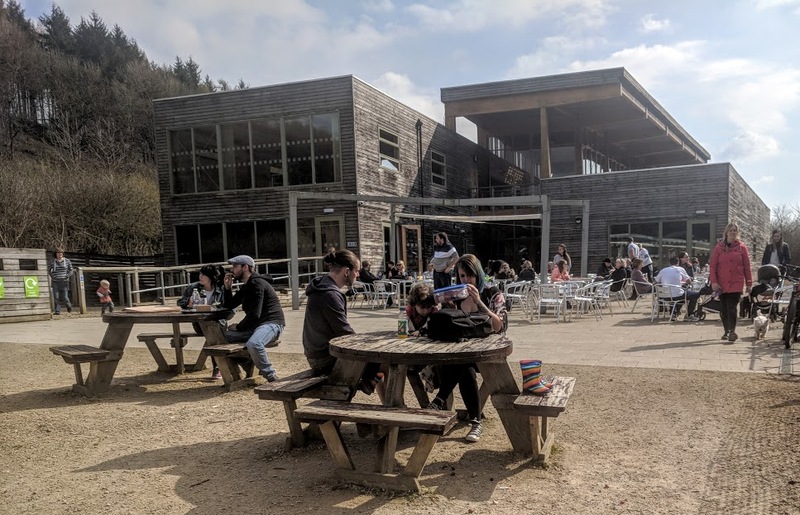 The parking system at Dalby Forest is very clever, the barrier opens on arrival, you then head to one of the payment machines dotted around the park, pay your £9 (by cash or card) and enter your reg then the barrier recognises that you've paid on departure and lifts for you. No tokens or tickets required. We decided to start with the ZOG trail which runs through the forest. You can complete this without an activity pack but we decided to go all out and buy two between us from the visitor centre (£3 each). 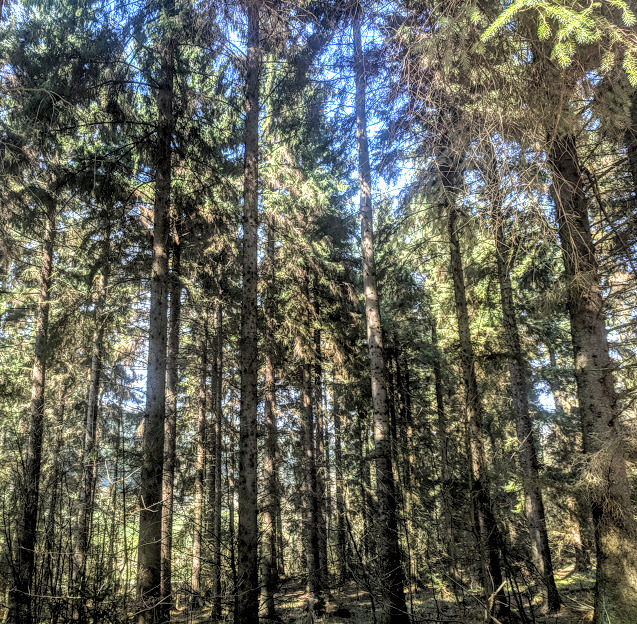 The one mile (ish) walk through the forest was lovely and the ZOG trail did add a little bit of interest but it was sadly probably the worst Forestry Commission trail I've ever tried. 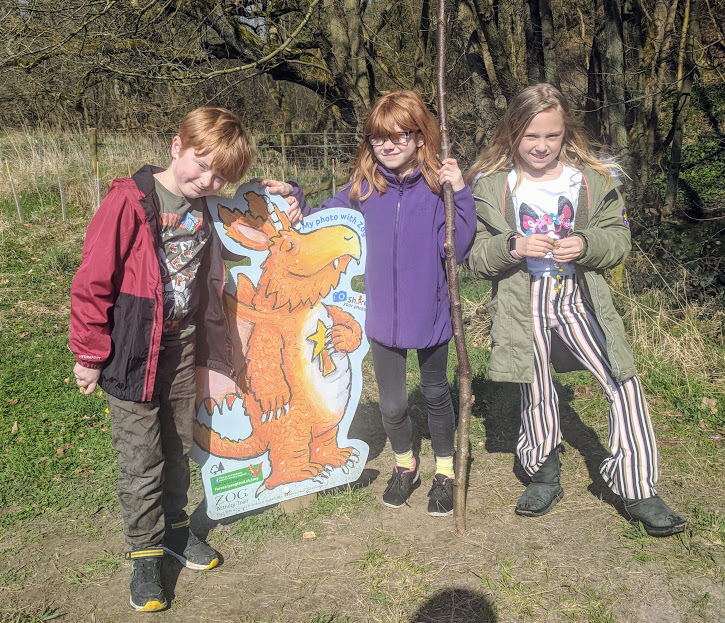 There are no wooden sculptures to find, the route is also used by cyclists riding past so you are constantly on guard asking the kids to move out of the way and watch what they are doing and there were no pencils in our trail packs so we couldn't even complete the activity sheets. Like I say though, it still was a lovely walk and I'd still do it again but for us it's not a patch on the trails at Hamsterley or Kielder. 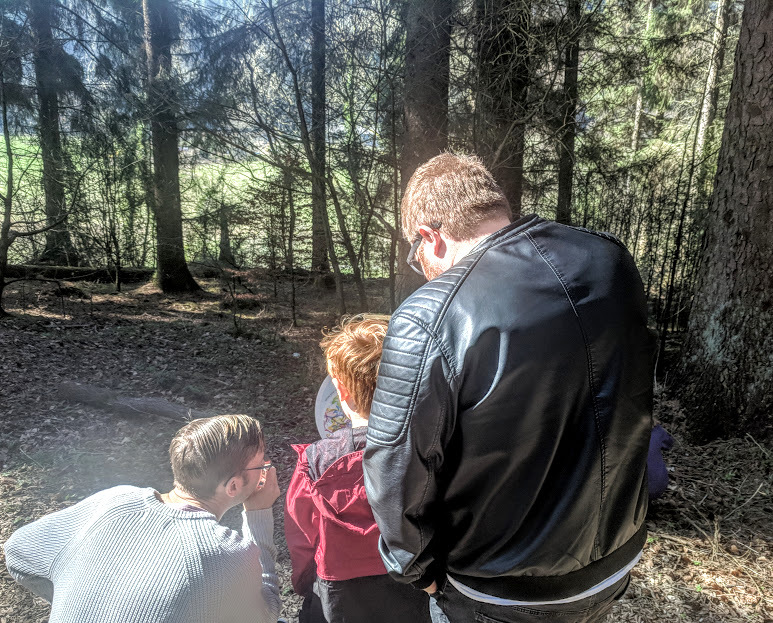 Jack enjoyed collecting the star stickers as he completed various challenges throughout the trail and the girls (and dads) liked using the special viewfinder to reveal hidden animals. The trail is nice and flat and pushchair friendly. After the trail we were well in need of a cuppa so popped to the visitor centre cafe for coffees, snacks and drinks. A light lunch and drinks set us back around £30 for the 5 of us which wasn't too bad and as the sun was shining, we were able to enjoy our first al-fresco lunch of the year on the terrace. 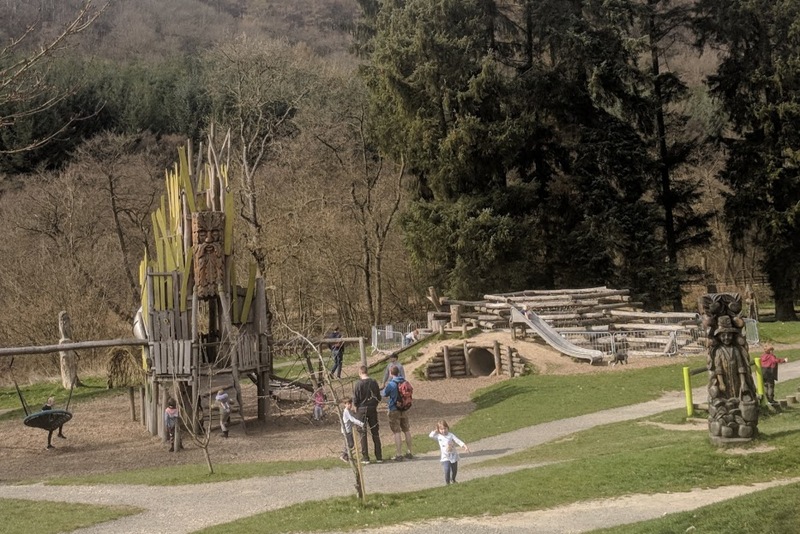 There are picnic tables and BBQ stands here too and the whole terrace overlooks a fantastic adventure playground and stream which the kids loved playing in as we ordered our second coffee. 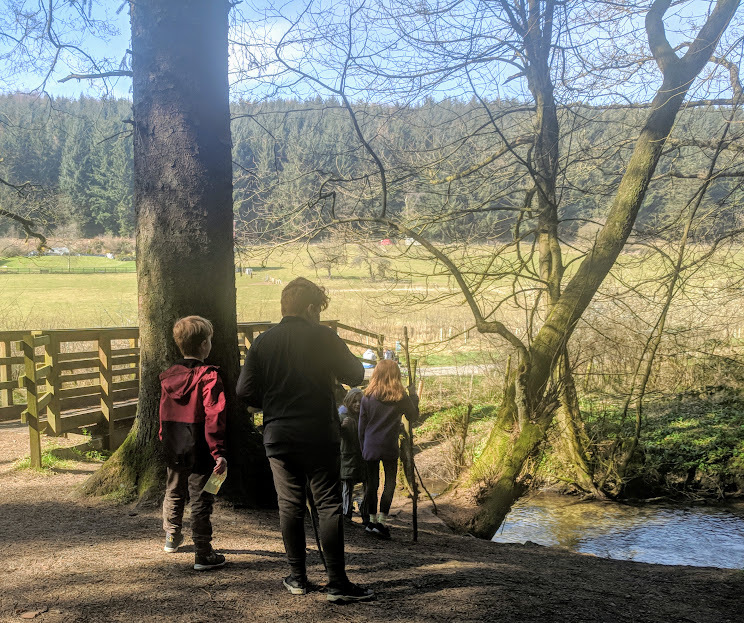 Bring a change of clothes and wellies if you think your kids are likely to play in the stream - ours decided to start a dam building competition and ended up travelling home with soggy feet. We spent around 4-5 hours at Dalby Forest (time flies when you're having fun) and probably only explored 1/10th of it. 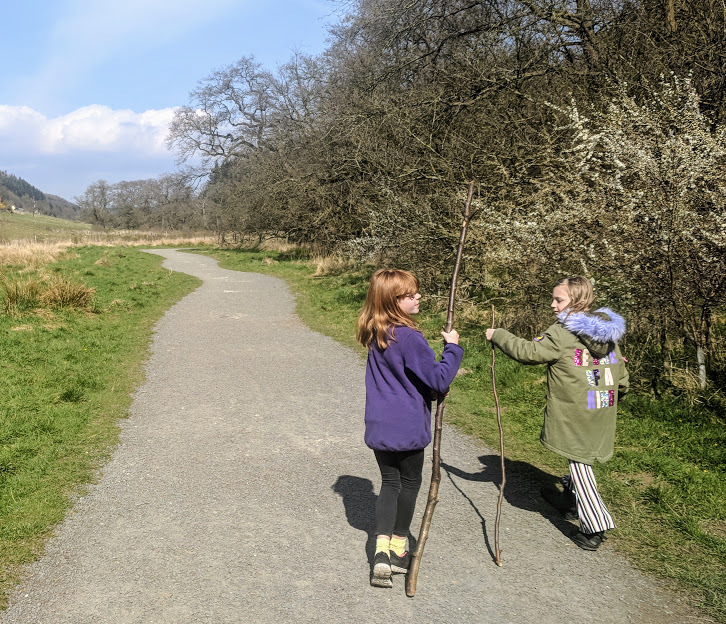 The forest is HUGE and there are loads of walking trails, bikes to hire, challenging cycle routes, picnic spots, forest drives, zip wires, more play parks, Go Ape and more. If you pick a nice day, you could easily spend a full day here and still not see everything. Back at the cottage, the kids escaped to the park again and us grown-ups indulged in a couple more mojitos (this time made by Alan whose mojitos were the best of the weekend - sorry Steve). Alan had bought some burgers from Charlotte's Butchery in Gosforth which Steve cooked for us all - OMG they were LUSH! I can't believe I didn't take a photo but I'd highly recommend giving them a try. 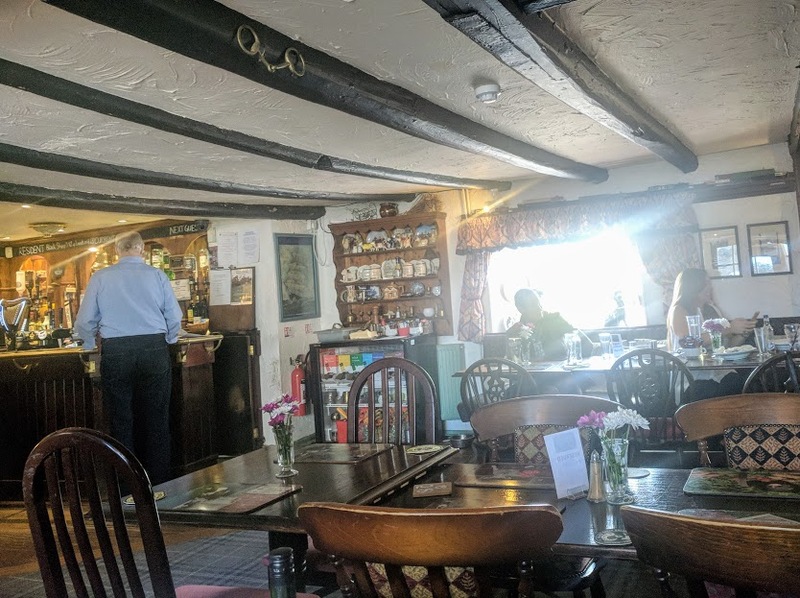 After a lovely lie in (the beds at Meadowside are super comfortable) and a lazy morning drinking coffee and watching Sunday brunch, we walked over the Three Jolly Sailors in Burniston for Sunday Lunch. As it was Mother's Day, Cat had booked our table well in advance and it's a good job she did as it was fully booked. This pub is a proper Yorkshire pub and we all loved our food here. All homemade with generous portions. Sunday lunch was reasonable at two courses for £14. The service was a little haphazard (a 40 minute wait before our order was taken and having to order drinks at the bar but then wait for table service to order our food). PLUS the children's options weren't explained very well - there was no children's menu and it said on the Sunday lunch menu that children were half price but when we tried to order most of the dishes they said they weren't available for kids but they could make them chicken nuggets. I asked about Vegetarian options for Heidi and there weren't any available. So in the end we ended up ordering half portions of beef and turkey (which were available) and full sized desserts for the kids. The food was so nice here so if they could get a little more organised, they'd be onto a winner I reckon. 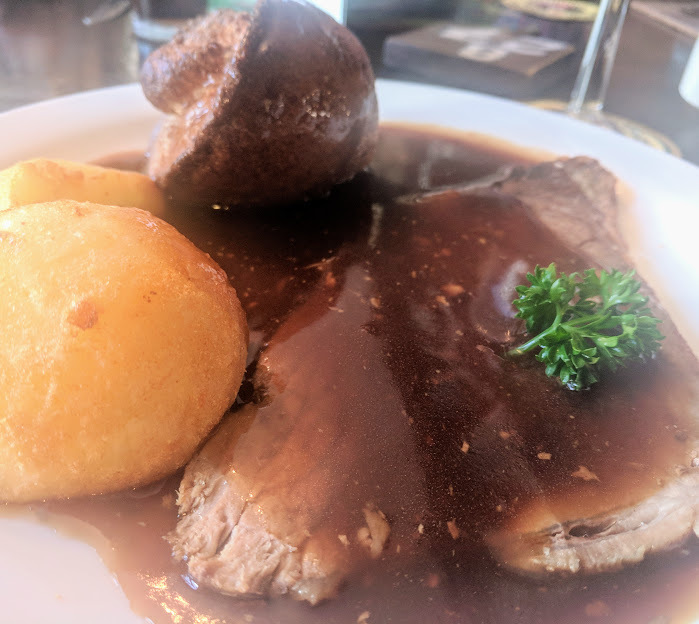 I'd still recommend you give the Three Jolly Sailors a try as like I say, they make a lush and reasonable Sunday dinner. Lunch finished at around 2pm and it was time for us to sadly pack up and return home for another year. It's just so nice having a bit of chilled weekend with friends with nice food, a little adventure and cocktails and having someone else to talk to other than our other halves. The kids really like meeting up with the Hooper kids too and Heidi especially appreciates girl company for a change. Let me know if you have any plans to go away with your friends this year. Disclosure - as we were staying in the Hoopers' family holiday cottage with them, we did not have to pay for our accommodation. We did pay for everything else. It was more of a 'holiday with friends' than a blog thing and I was definitely not asked to write this post but I love writing about our memories and sharing our recommendations with you all.